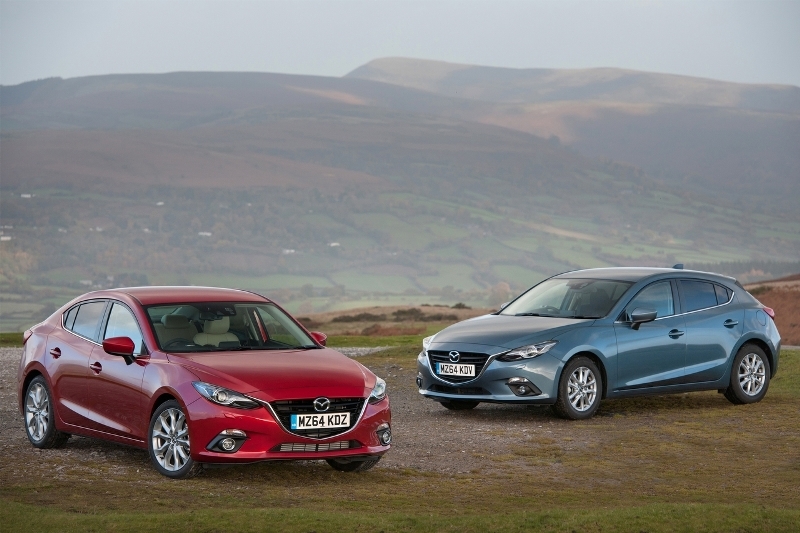 The all-new Mazda3 has made a dominant showing at the ‘2014 Scottish Car of the Year‘ (SCOTY) awards ceremony last night (28 November 2014), winning the hotly-contested ‘Family Car‘ category and, in its 2.2-litre Diesel iteration, taking the runner-up position in the ‘Diesel’ category. Mazda is no stranger to the SCOTY awards, held this year at the Fairmont St Andrews with over 200 guests, including all 15 SCOTY jury members, in attendance. 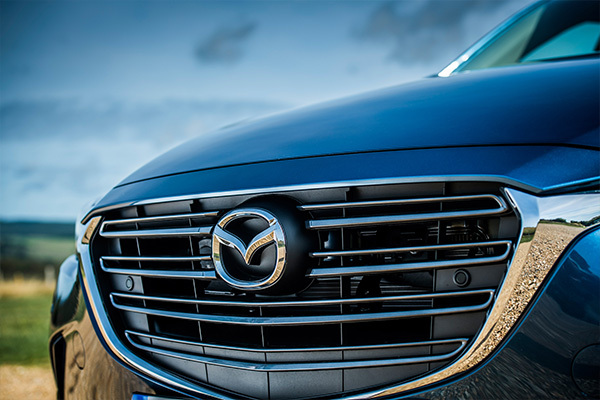 In 2012, the Mazda CX-5 won the ‘Safety‘ award, and in 2013 the Mazda6 2.2-litre topped the ‘Eco’ award honours list. This year’s battle for ‘Family Car’ honours was amongst the closest in SCOTY history, with three all-new cars from popular brands -the all-new Mazda3, Citroen Cactus and Peugeot 308- finishing within a handful of points of one another. 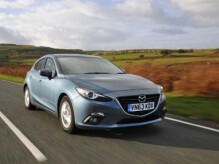 Ultimately, however, it was the superior design, quality, driving dynamics, performance and efficiency of the all-new Mazda3 -a car which made its UK debut in Scotland- which placed it ahead of the pack. Its victory in one of the most significant categories in the SCOTY awards reinforces just how compelling a proposition the all-new Mazda3 makes for both private buyers and company car drivers in Scotland. 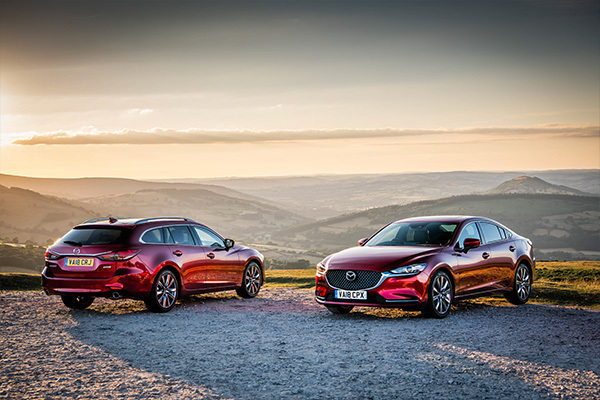 With a 36-strong model range priced from £16,995 to £23,745 on-the-road (OTR), the new Mazda Hatchback/Fastback combines striking, KODO design with highly-advanced SKYACTIV engineering. The premium quality, ergonomically-superb interior sets new standards for mobile connectivity with the debut of Mazda’s MZD Connect system, which works with compatible smartphones to seamlessly integrate online social media and internet radio using Aha; a cloud-based app with a wide range of free, web-based, infotainment content*. A choice of 1.5-litre 100ps petrol engine or 2.0-litre with either 120ps or 165ps power output, and a 2.2-litre 150ps turbodiesel provides an ideal blend of power and frugality. The powertrains’ advanced and lightweight SKYACTIV technologies deliver up to 72.4mpg in the combined cycle, whilst generating emissions as low as just 104g/km**. *Requires compatible Apple® or AndroidTM device. Aha and Stitcher apps need to be downloaded to mobile device and app registration completed before connection. Data usage and costs will vary, please contact your network provider for more information. Data usage relies on a valid data signal being available. These functions may not operation in areas of low signal strength. Please refer to www.mazdahandsfree.co.uk for the latest information regarding compatibility and functionality of mobile devices.